Myo Swe, deputy director general at the Posts and Telecommunications Department, said earlier that Myanmar would strive for enabling digital economy and multi-sectorial digital transformation including digital government, digital community and digital society, ultimately aiming to become the digital hub in Southeast Asia. The government has a policy goal to ensure that all people in a country have access and are able to use telecommunications services. More people living in rural areas now have access to technical services and applications as well as the capacity to use them. “Digital society is developing significantly in Myanmar. It is necessary to develop digital society through safe and secure ICT [information and communication technology] infrastructures,” he said. He said implementation of Myanmar’s e-government was intended to extend utility based on existing resources, for example, e-Government network would be built on existing fiber network along the railway and road. In a bid to accelerate digital reforms, the government formed the Digital Economy Development Committee in July 2017. Vice President Henry Van Thio leads the committee to integrate all the sectors into the digital economy. It aims to cooperate with international technology firms to create a better economic environment. Emanuela Lecchi, head of public policy for Asia Pacific at Global System for Mobile Communications, said the organisation would help prepare the nation for the next steps into the future. “Myanmar has made more rapid progress than perhaps any other country in moving directly from a largely unconnected society into the era of four-generation mobile telephony,” she said. 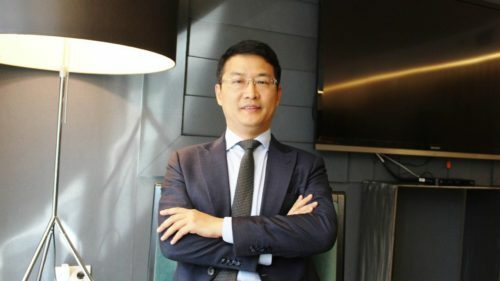 Toshitake Amamiya, chief executive of MPT, the nation’s leading telecom operator, said earlier that industry players must cooperate with regulators to ensure legislation encourages a sustainable business environment. He said better legislation conducive to the industry and smart funding into key infrastructure and platforms would foster healthy competition. Lars Erik Tellmann, chief executive of Telenor Myanmar, said last month Myanmar’s digital economy has potential for significant growth if the right initiatives are executed. “Myanmar is well positioned to enter the next phase in realising its digital ambitions,” he said. Last month, the firm released a report named “Realising Digital Myanmar”, that noted Myanmar’s lack of digital legacy would provide opportunities to learn from other countries and leading technology firms.